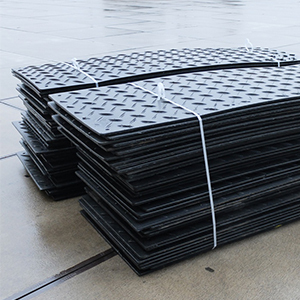 Plastic road plates are light and therefore easy to transport and handle. with different dimensions and quality depending on use/application. Made from polyethylene, designed for heavy applications, with a bearing capacity up to 55 tonnes. 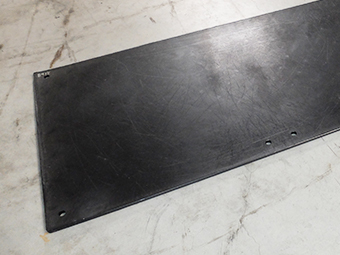 Dimensions 2440x610x15mm (19kg), 2440x910x15mm (29kg), 2440x1220x15mm (39kg). 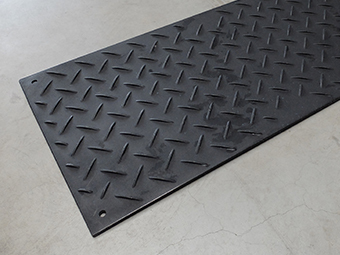 There are two options for the finish: both sides with rough anti-slip diamond pattern or one side smooth and one side rough anti-slip diamond pattern. The plates can be joined together. 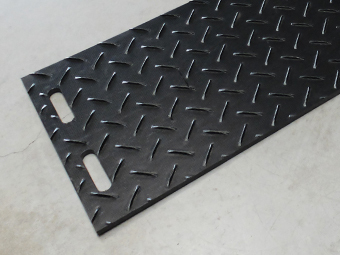 The strongest plastic road plate in the world, for all heavy-duty use in construction and industry. 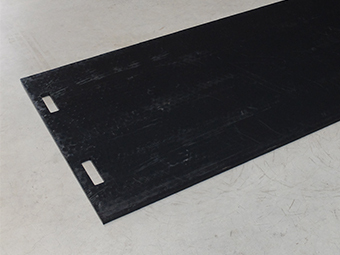 Made from HDPE, for light applications. 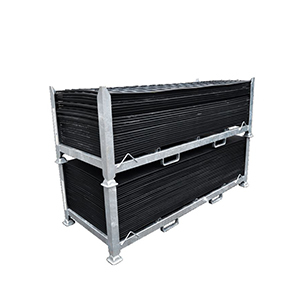 Dimensions 2440x610x15mm (19kg), 2440x910x15mm (29kg), 2440x1220x15mm (39kg). 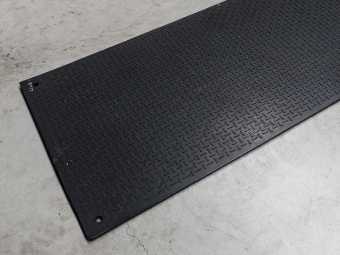 There are two options for the finish: both sides with rough anti-slip diamond pattern or one side smooth and one side rough anti-slip diamond pattern. 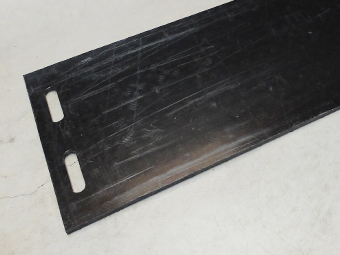 The plates are supplied with handles and can be joined together. 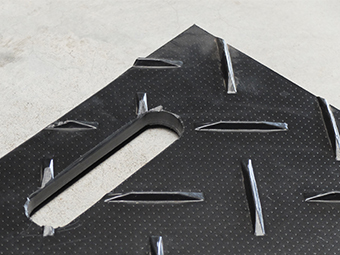 Made from recycled materials, for light applications. 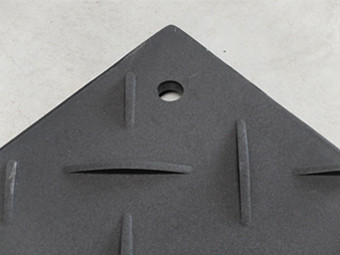 Dimensions 2000x1000x15mm (28kg). 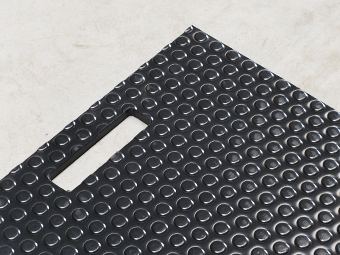 The finish consists of one side smooth and one side light anti-slip surface with studs. The plates are supplied with handles. 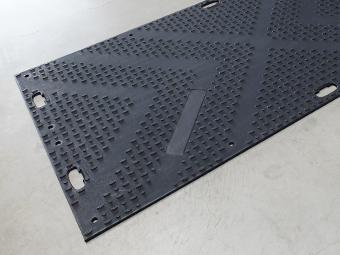 The most versatile plastic road plate, large in size yet low in weight. 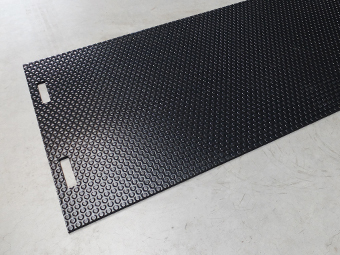 Dimensions 2400x1200x12mm (36kg). 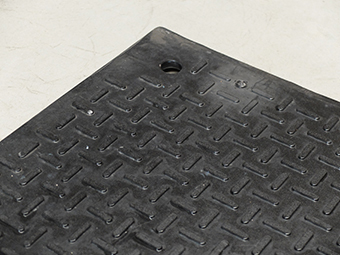 The rough diamond pattern underneath ensures the plate stays in position, whilst the light diamond pattern on top ensures safe (foot) traffic under all conditions. 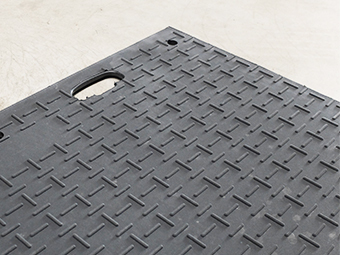 Made from polyethylene, designed for heavy applications, with a bearing capacity up to 55 tonnes. Dimensions 2440x910x15mm (29kg). 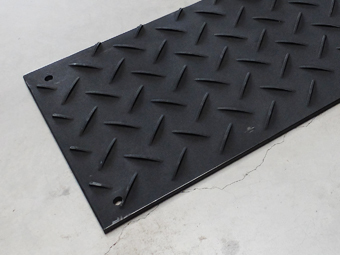 The finish consists of one side anti-slip diamond pattern and on the other a light anti-slip diamond pattern. The plates can be joined together.